It's a random morning as I look out my window at the woods surrounding our home in Southern Oregon and am amused by the wildlife. 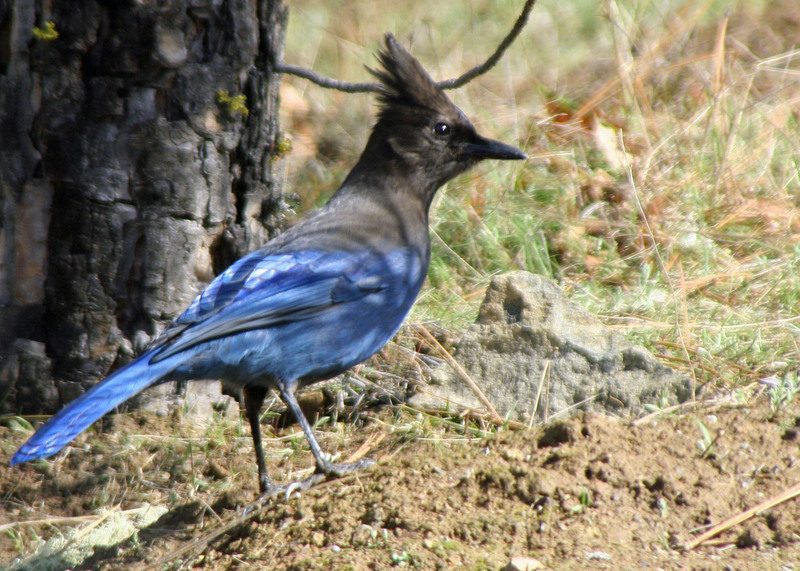 A Steller Jay scolds me with a staccato comment. Apparently the bird feeder is running low on sunflower seeds. I plug along, seeking a different perspective for my morning journal. CT runs by. “Your mama was a ground squirrel,” I yell after him. I am probably not being PC. He can’t help it if he has an ugly little crooked tail when all of his gray squirrel relatives have big bushy ones. A dove lands under the madrone. She is as round as she is long. An elderly friend of mine would say, “Wow she is fat!” in a voice loud enough for the whole neighborhood to hear. It’s the privilege of old age, calling things as you see them. But I think the dove has fluffed her feathers out to stay warm on this 38-degree morning. Or possibly she is pregnant… very pregnant. Or she’s fat. My computer tells me ‘random thoughts, random mind’ is not a complete sentence. There is nothing random about my computer. It lives by the rules. A fragment is a fragment is a fragment. I tell the software to get lost. I will write what I want. It’s a random morning and I am feeling like Jack Kerouac. Let the thoughts flow where they will. But still I write in sentences with punctuation and paragraphs with themes. I can’t escape the discipline of writing. But I can play. We are far too serious in this world. We would rather bump each other off than laugh at our foolishness, which makes us all fools but not fool enough. Whoa, where did that come from? “Gibberish,” you say, and gibberish it is but those are the rules of random. I write sentences but they don’t have to make sense. Or do they? A Steller Jay interrupts my thoughts with his staccato complaints. Apparently the bird feeder is running low on sunflower seeds. It’s back to the basics. Two tom turkeys come by, fluff out their feathers, and do the Turkey Two Step. It’s a fan dance. They have a harem of hens to convince of their masculinity. “Take me, baby!” But first they have to convince each other. It’s a dance as old as time. 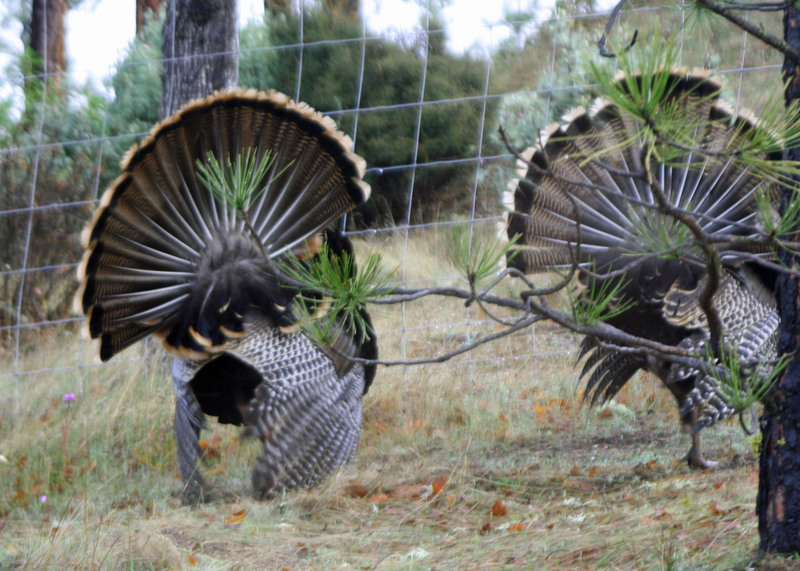 Are these two tom turkeys putting on a show for their lady loves? Or is it each other? 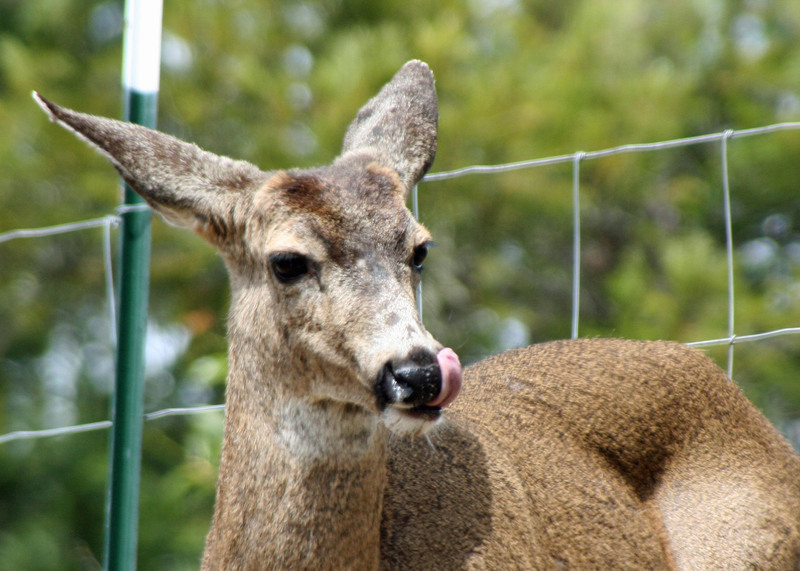 And what is the hornless buck doing licking his nose with his bright pink tongue. “Ah,” I think to myself, “He is going after a bit of breakfast that has escaped his mouth.” I can identify. I stuck out my tongue frog-like this morning to capture a piece of scone that was charging down my sweatshirt. “Escapee!” my mind screamed. Lip smacking good. The pink tongue says it all on this buck who is just starting to grow a new set of horns. And thus my daily journal goes this third day of April in 2012 as I write from my home in the woods of Southern Oregon. I’ve been filling pages with the minutia of my life for 12 years now. It’s how I kick off my day, an old friend, as comfortable as the chair I sit in. I write for me. Occasionally I’ll share.